After dinner, the evening's entertainment will be continued by the top-quality jazz of Fitz Swing, Cambridge's most illustrious big band. For over 20 years Fitz Swing have thrilled guests at May Balls with their slickly executed performances. 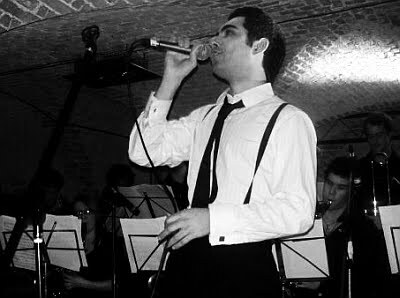 Their mix of classic swing, big band and jazz will be sure to get you on your feet as "there's an energy to Fitz Swing that's infectious" (Varsity) and you'll be wowed by the razor-sharp execution of the band, "as tight as a shirt buttonhole" (The Tab). After two sets from Fitz Swing, a ceilidh - a Gaelic group folk dance accompanied by traditional music - will keep you dancing until the small hours. The Cambridge University Ceilidh Band have played at the May Balls of Trinity, St John's, Peterhouse, and more, and will guide you through the moves as you spin your fellow guests around the floor. In addition, upon arrival a professional photographer will be available to take pictures of guests; these will be possible to view and purchase later as a memento of the evening.